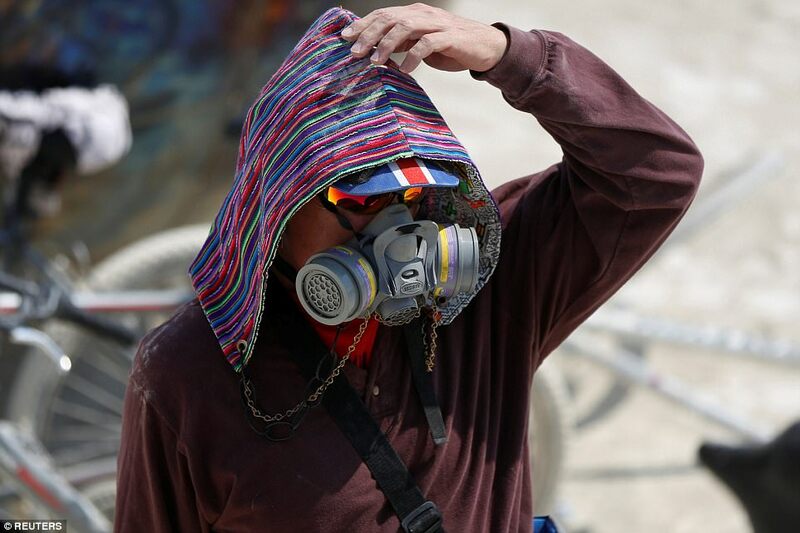 After braving a massive dust storm, raging wild fire and scorching heat, the psychedelic symposium in the Nevada desert known as Burning Man is still going strong as it entered its eighth day on Saturday. 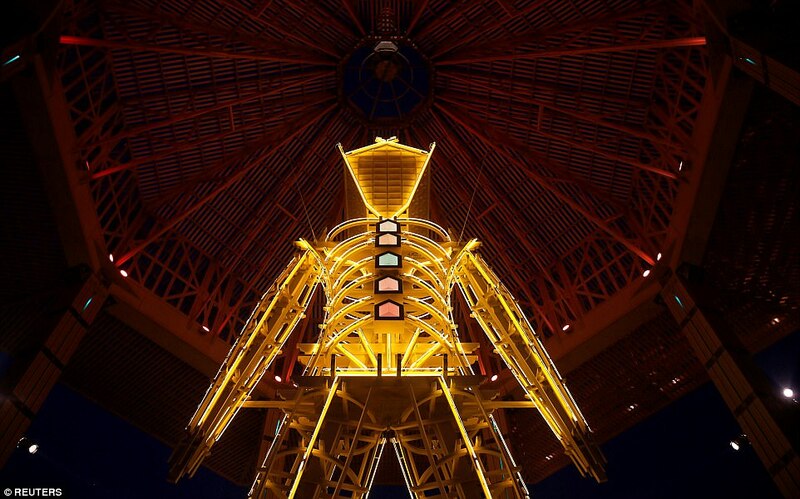 Saturday also marks the height of the art and music festival celebration, where thousands will gather in the evening to witness the lighting of ‘the Man,’ the symbolic ritual burning of a large wooden effigy. 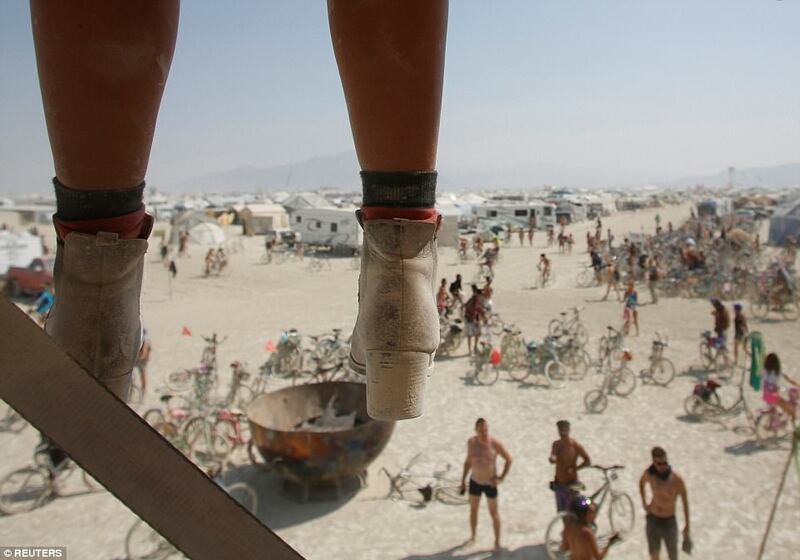 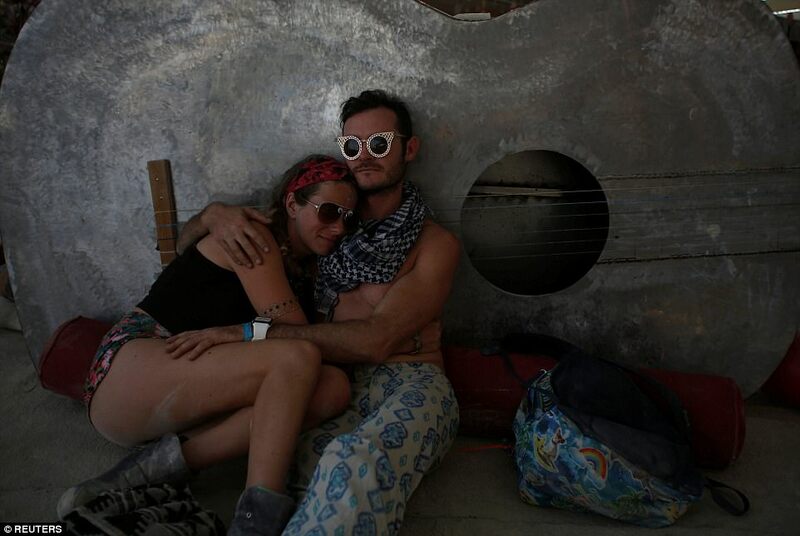 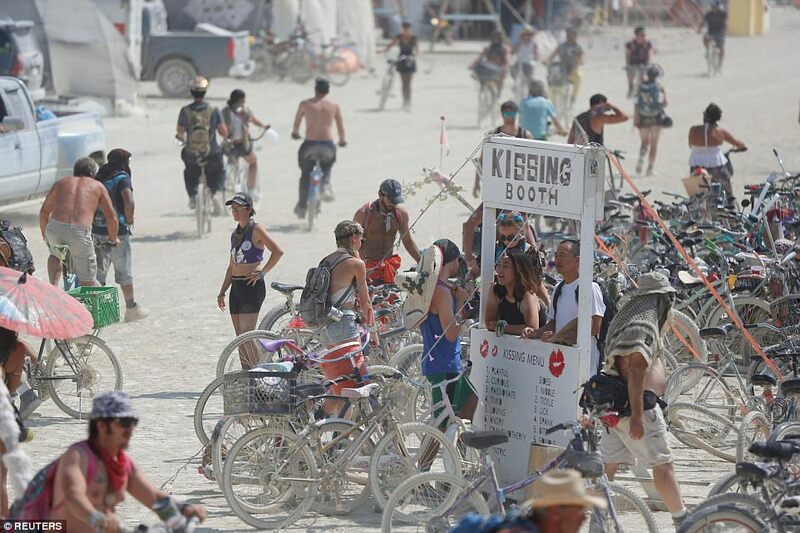 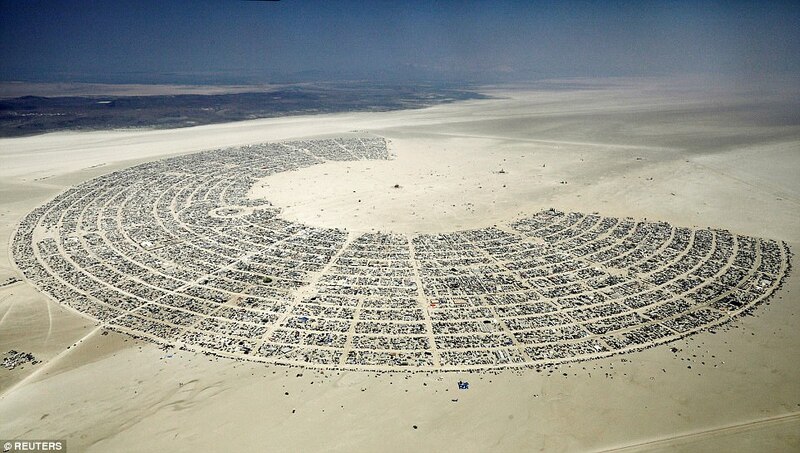 Around 70,000 burners have set up camp at Black Rock City, where everyone is an active citizen with something to do to keep the temporary town running. 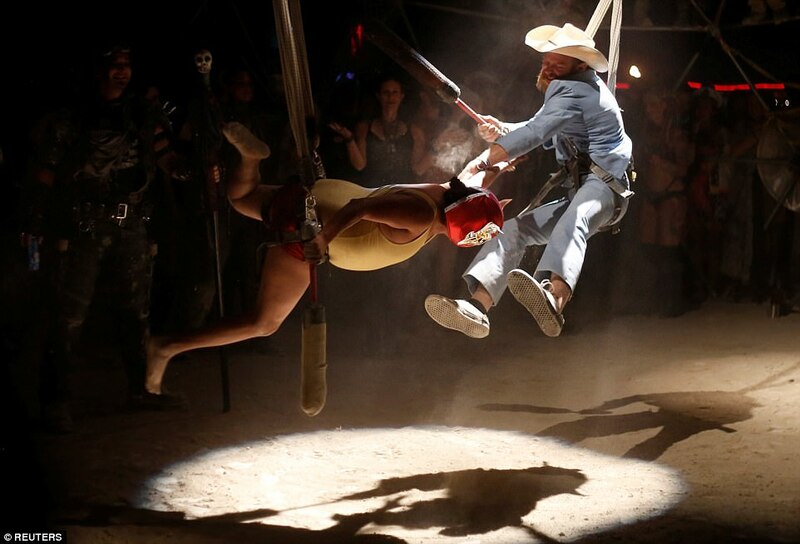 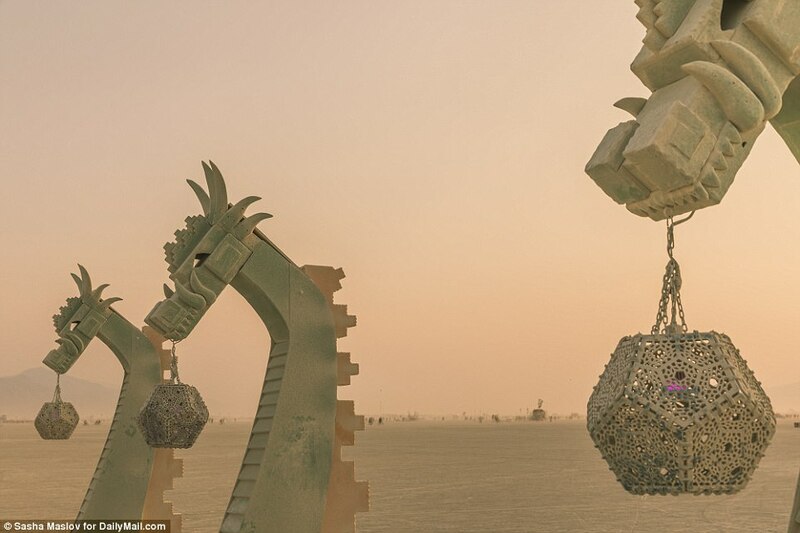 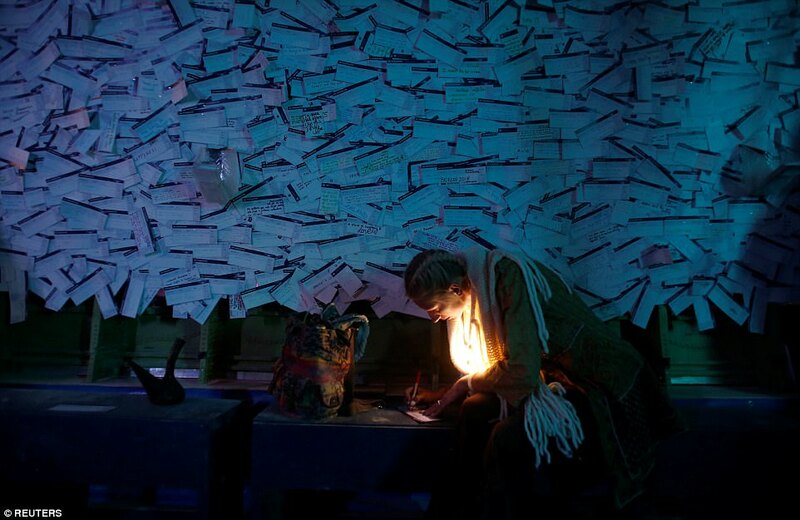 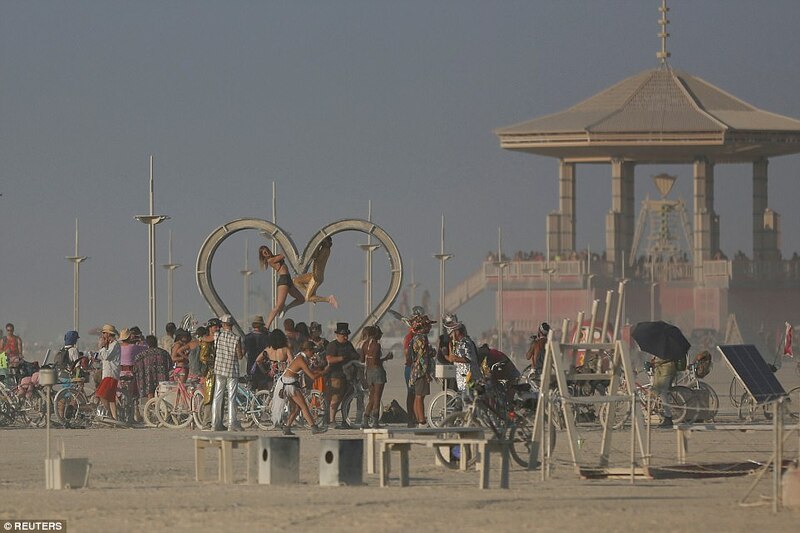 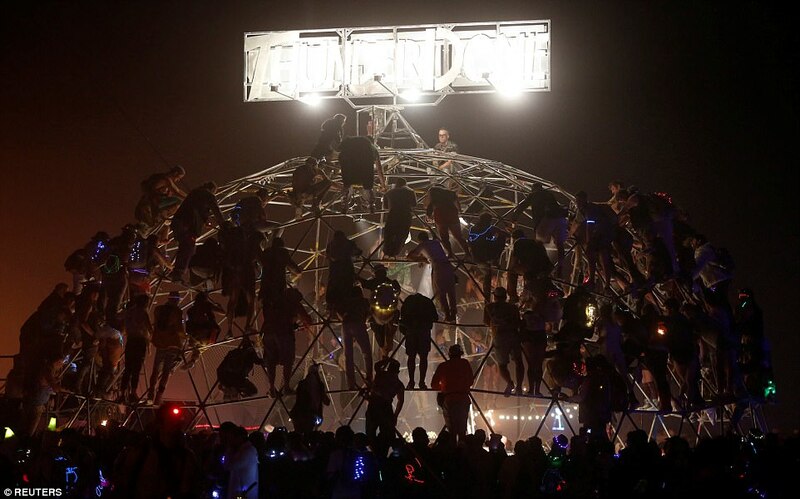 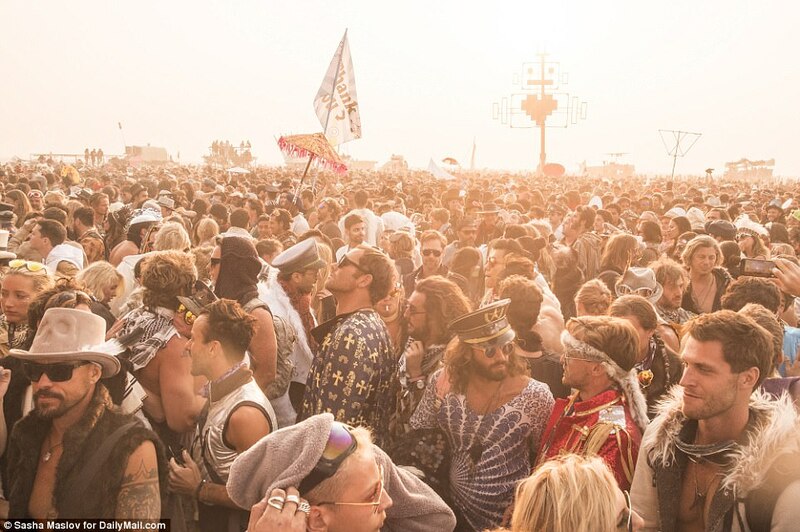 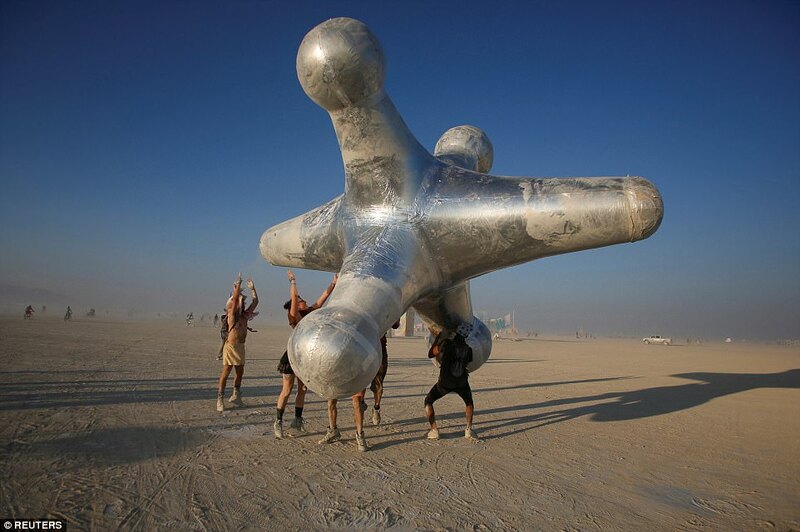 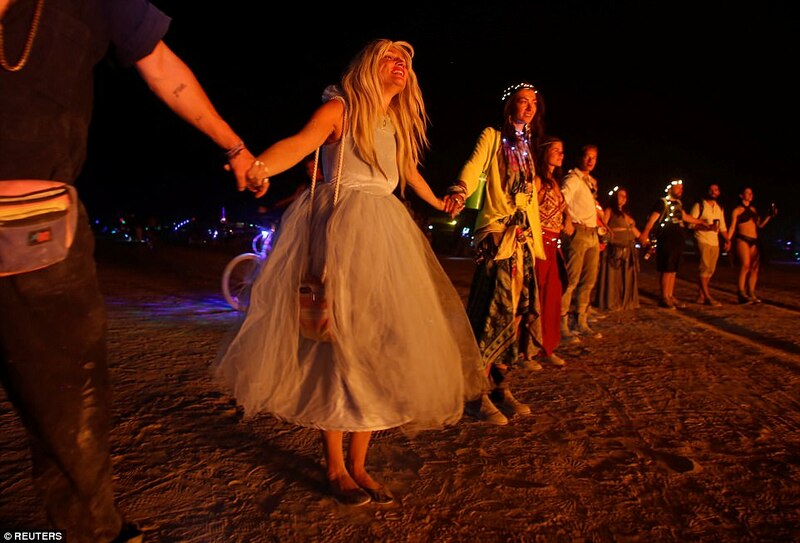 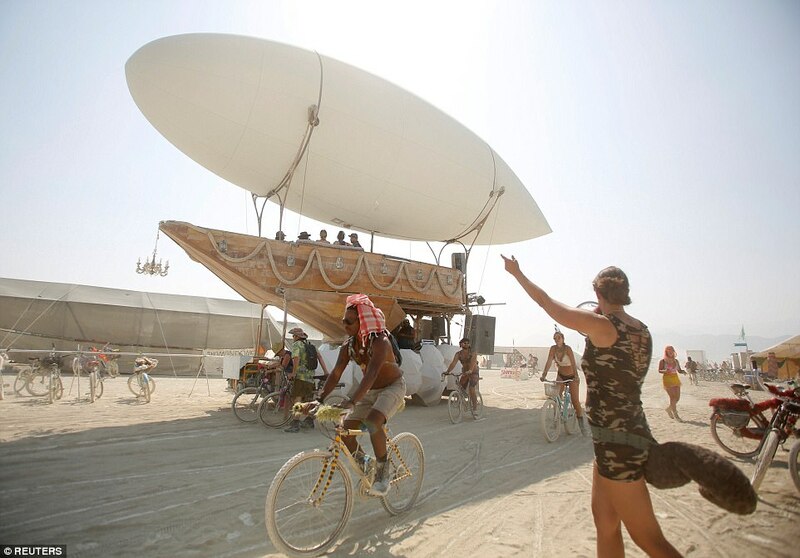 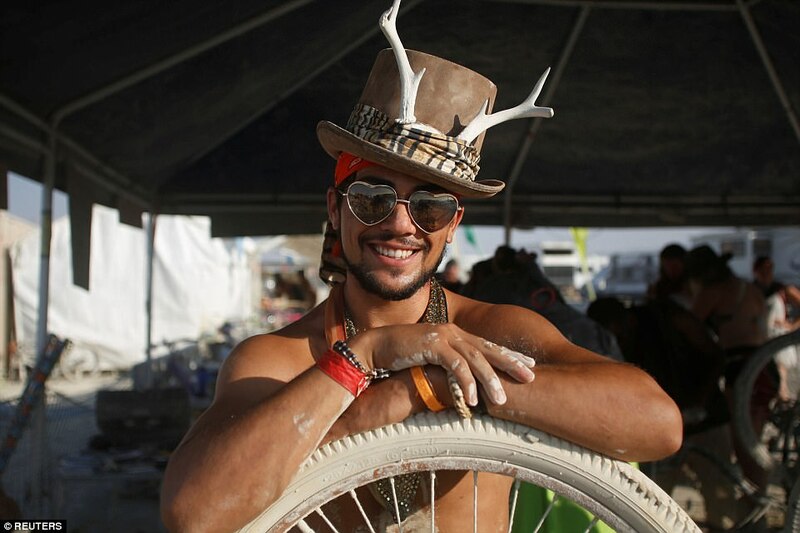 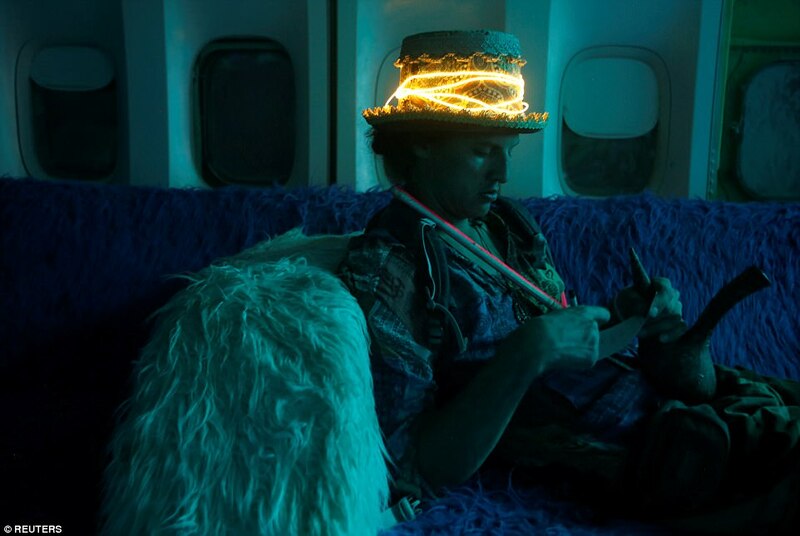 This year’s festival theme is Radical Ritual, with organizers inviting participants to celebrate ‘the ambiguous ground that lies between reverence and ridicule, faith and belief, the absurd and the stunningly sublime,’ according to the official Burning Man website. 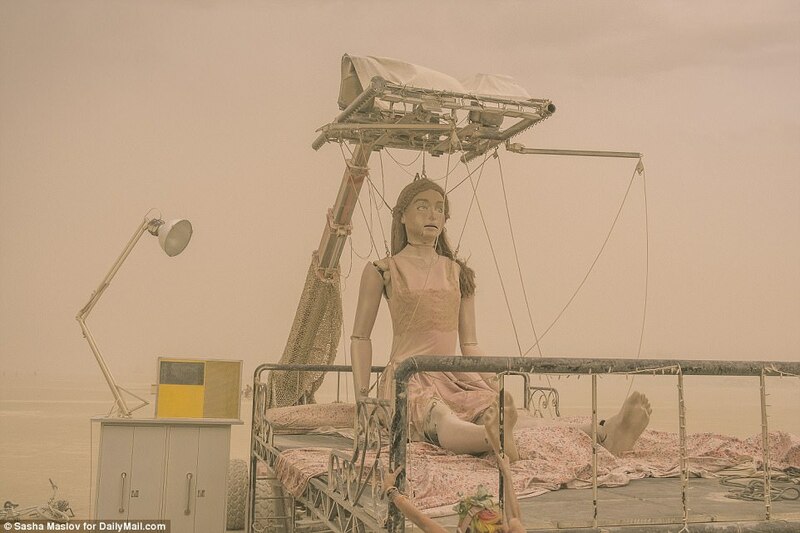 Temperatures in the desert have exceeded 100 degrees at times, while punishing dust storms covered most of the desert gala in sand earlier in the week. 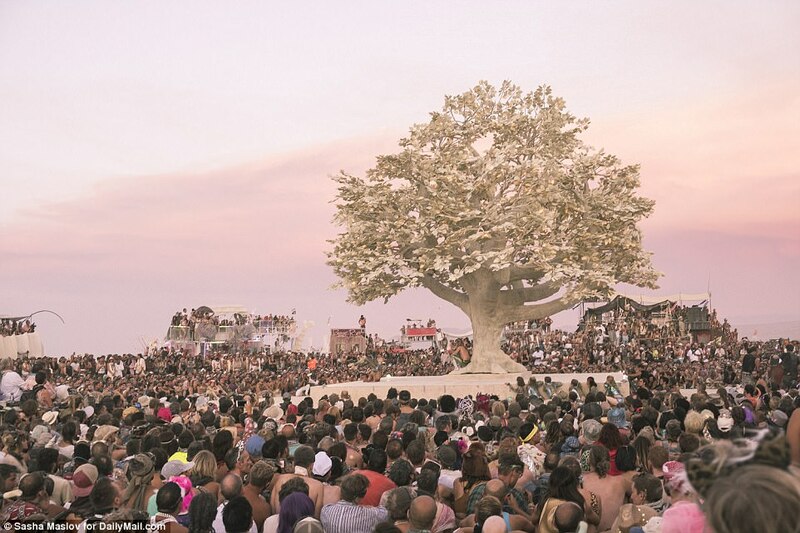 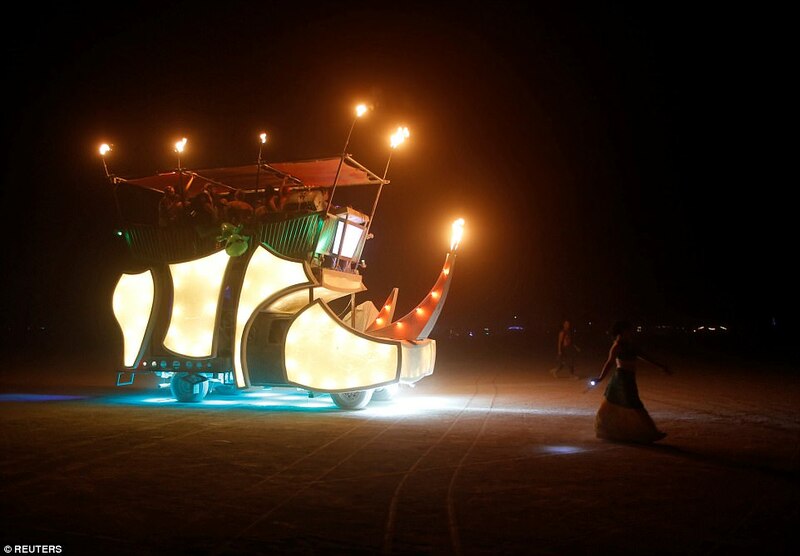 The art and music festival runs over nine days until September 4 in Black Rock Desert, which is about 120 miles north of Reno. 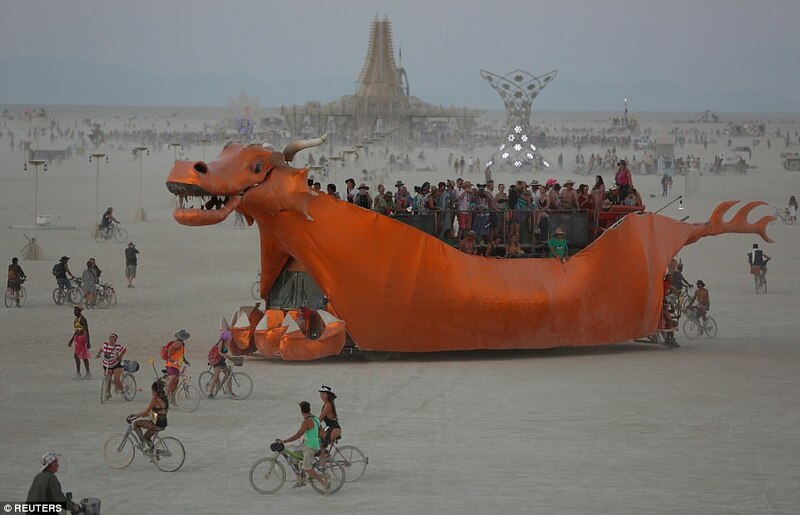 Raging wild fires on Thursday also threatened to cut festivities short, and briefly caused a shutdown of the main highway that leads in and out of the festival. 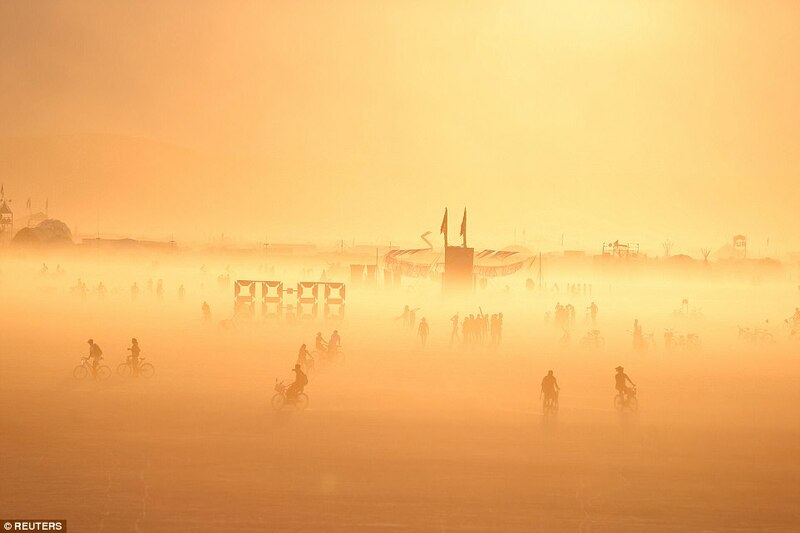 The blaze, also known as the Tohakum 2 Fire, enveloped more than 30,000 acres of land near the celebration and shut down traffic for over 15 hours, according to The New York Daily News. 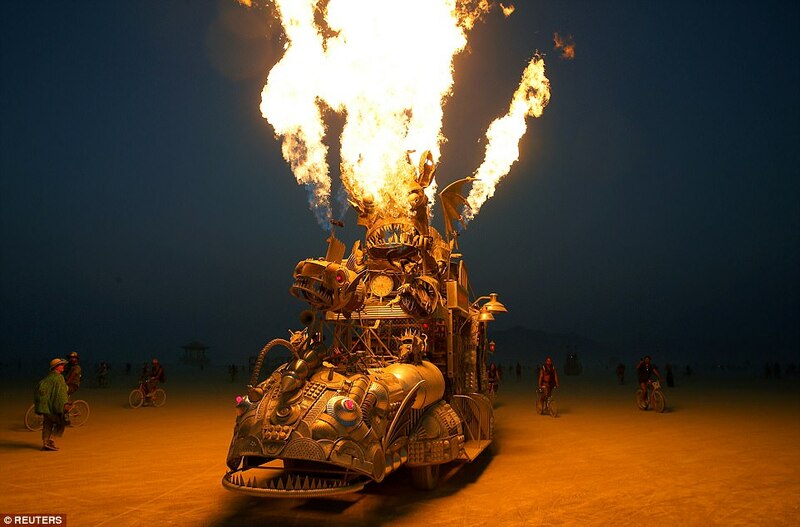 By Thursday evening, however, the blaze was under control with the highway reopening to motorists.